The idea of SimCity was thought up by a guy named Will Wright. The classic SimCity was released in 1989. This game was totally different from any computer games at the time. It was the only game that involved a theme which was non-violent, yet became very addictive to play. SimCity Classic had all the elements of a real city and worked with a simulator that made it act like a real city. Maxis, finding SimCity Classic a major success, went on to make a follow-up to that game - SimCity 2000. SC2000, released in 1993 by Maxis, was a revolutionary jump from Classic. Graphically, SC2000 made an hugh improvement. It used an 'isometric' view, which was not actually 3D, but gave the impression of a third dimension as opposed to a 2D overhead shot. It had 3 zoom levels, and players could rotate on 90 degree angles. SC2000 used 256 colors instead of 16 for Classic, a big difference in realism. SC2000 also offered a more advanced simulator with 'microsimulators' such as taxation, ordinances, and funding which gave players the feel of a real mayor. Players could now build all the civic buildings a real city would have (hospitals, schools, zoos, etc...). There were also special buildings to give the mayor a sense of achievement, including the mayor's house, city halls, and even archologies. There was also a more advanced transportation system, with highways and subways, bridges and tunnels. It was possible to alter the terrain by raising and lowering, or adding water and trees. Maxis released a bunch of additions to SC2000, including SCURK (SimCity Urban Renewal Kit) which let players alter existing buildings or create totally new ones from scratch (very difficult) to be used in their cities. After the success of SimCity 2000, Maxis seemed to just create new Sim games to occupy the time until the next major title. They came up with SimTower, SimCopter, Streets of SimCity, SimIsle, and SimTown, all of which were failures to some degree. 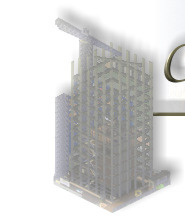 SimTower survived for a while longer than the rest, but was no SimCity. 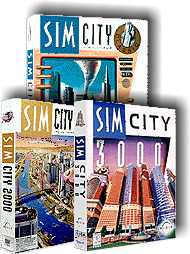 Then, there came the decision to make SimCity 3000.... all the great new features brought by the game here.